This week’s photo challenge assignment was “Street Photography.” The shot I submitted was one that I took of two quilters having an engaging chat in front of the Superior Threads booth at MQX East in Manchester, NH. However, though I may be the only person on the planet who concerns myself with this, I don’t want to post their photo publicly because I did not get their express permission to do so. Instead, I’m sharing a vintage “street” photo. 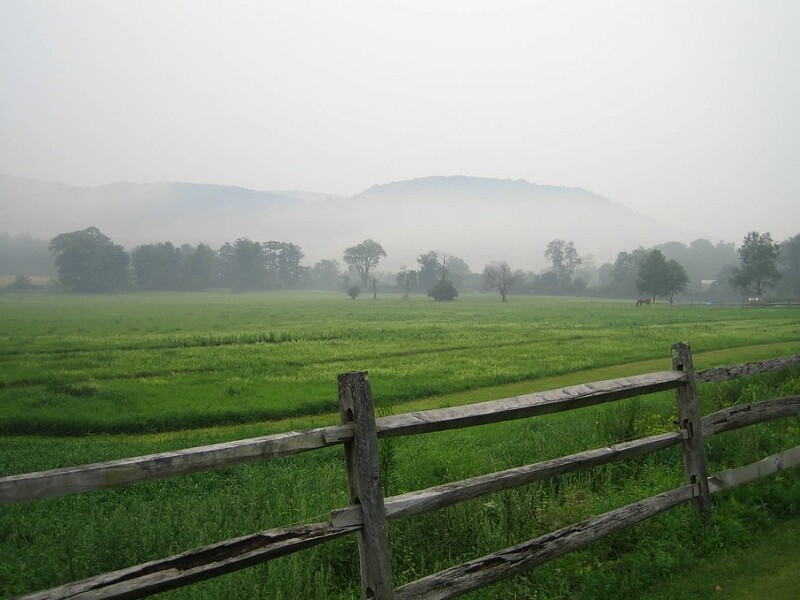 I took this picture from the side of a road in the Berkshires in 2007.